Former captain of the Anaheim Mighty Ducks who was a seven-time NHL All-Star. He scored 50 goals for the Ducks during the 1995-96 season. He joined the Mighty Ducks from the junior leagues and was selected to the NHL's All-Rookie Team. 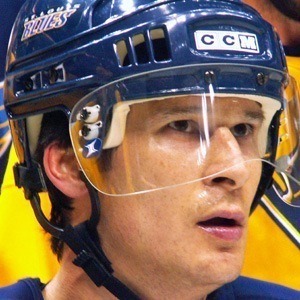 He became the longest-serving captain for the Mighty Ducks at eight years, during which he set team records for the highest plus-minus and most OT goals. Both of his parents were schoolteachers, and his younger brother, Steve Kariya, played for the Vancouver Canucks. He and Teemu Selanne were a potent one-two combo on the Ducks for many seasons.